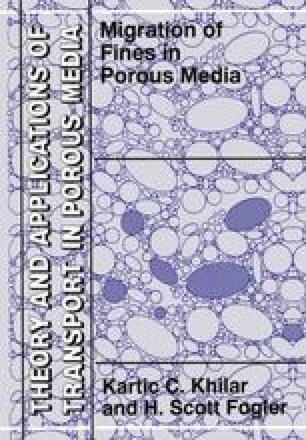 In this chapter, we present mathematical models to describe the reductions in permeability resulting from migration of fines in porous media. First, we present the release and capture mechanisms followed by the model equations, describing the processes. Finally the solution procedures are discussed and the model predictions are compared with experimental observations.